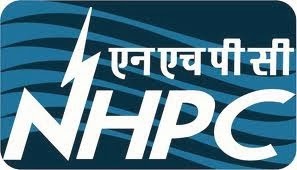 About Company: NHPC Limited (Formerly known as National Hydroelectric Power Corporation Ltd.), A Govt. of India Enterprise, was incorporated in the year 1975 with an authorised capital of Rs. 2000 million and with an objective to plan, promote and organise an integrated and efficient development of hydroelectric power in all aspects. Qualification: Candidates should possess BE/B/Tech. degree/AMIE in Electrical / Electrical & Electronics from a recognized University. How to Apply: Eligible candidates can attend for walk in interview along with two sets of application form, affix passport size photograph on each copy of application form, duly filled in along with necessary supporting documents i.e. Degree Certificates, Caste Certificates etc on 29-11-2013. to the Venue office of NHPC Ltd., Vidyut Bhawan-II, 2nd Floor, J.N. Nehru Marg, Bailey Road, Patna (Bihar), Pin- 800021.